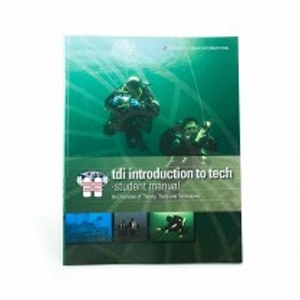 THE TDI INTRO TO TECH MANUAL IS THE TEXT-BOOK LITERARY ASSISTANT TO THE TDI INTRO TO TECH CERTIFICATION COURSE. It focuses primarily on defining the various activities, explaining the equipment, outlining the options and previewing the information that will be further addressed during training in each specialty area. Using the Intro to Tech Manual as a reference, students may utilize the Knowledge Quest Work Booklet by answering the provided questions with the most appropriate and accurate answers.